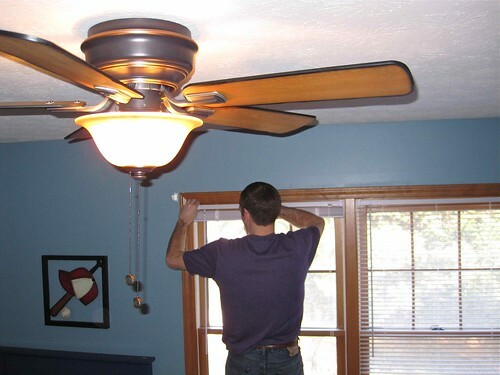 Here's Kade's fan. He had an old, and not so attractive, light that didn't go in a little boy's baseball room. I chose something masculine without a theme. In case he changes his decor in a few years. I started the installation of the new blinds but didn't get very far. My hands have a hard time using a screwdriver sometimes. Mickey took over. What would I do without him? I suppose I'd have to learn a few things.